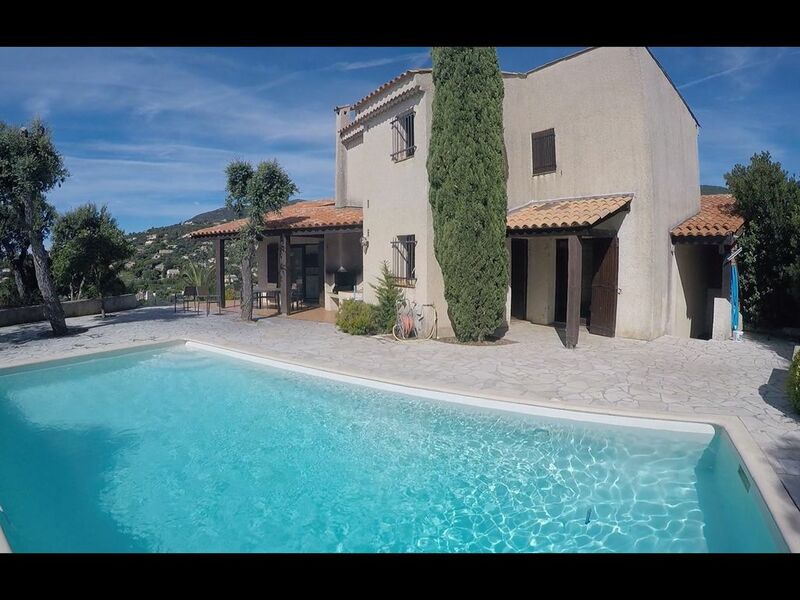 Located on the green Provencal heights, this large holiday home is ideal to spend holidays with family and friends up to 7 people. Its neat decoration combining the charm and warmth of the traditional with the clean and functional aspect of the modern furniture will ensure you a friendly and luminous atmosphere thanks to the French windows giving onto a small terrace. You will enjoy the private pool surrounded by trees and enhancing the unobstructed western perspective on the surrounding hills. Through this exhibition you will enjoy swimming and the adjacent barbecue until the evening with natural lighting. Thanks to its proximity to the sea and the city center, the house is an ideal starting point for your walks as well as for your excursions in Provence. Très belle villa , bien équipée , propre . Proche de la plage , stationnement facile . Superbes vacances en famille et entre amis . 500m from the sea and 1km from the city center, many activities are available to you, your family or your friends: swimming, diving, water skiing, cinemas, casinos, discotheques ... You can also discover the charms of Saint-Tropez (18km) or Toulon (50km).